In honor of another great trip back to see friends and family in Reno, I was inspired to dish up some raw goodness. Kyle’s sister has a spectacular garden going from which we ate awesome mixed greens with tons of herbs and fresh veggies. I’m a huge fan of variety so hope you get a chance to try this out! *Mix all ingredients and let marinate while preparing the rest of the dish. *Blend all ingredients except water. Slowly add in water to desired consistency, more or less depending on personal liking. 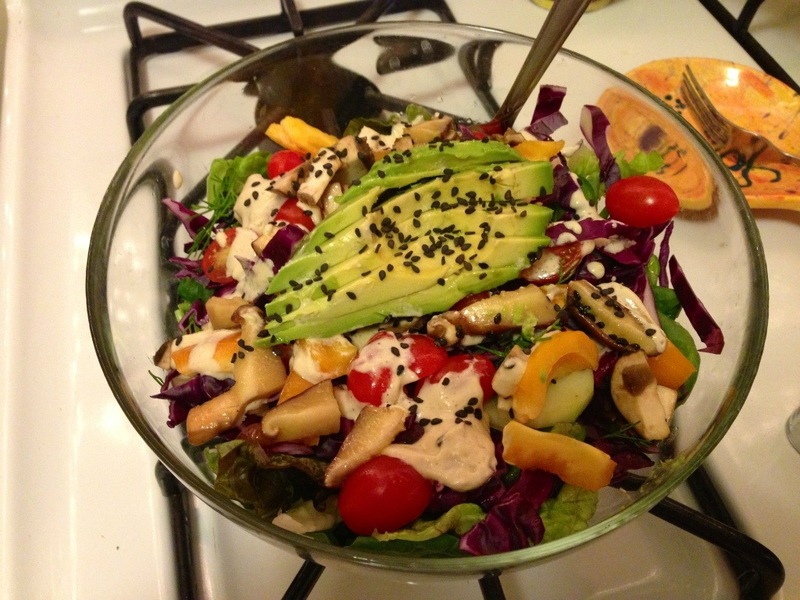 *Toss all ingredients in large a large salad bowl except avocados. Mix in salad dressing to desired thickness. Serve in salad bowls. 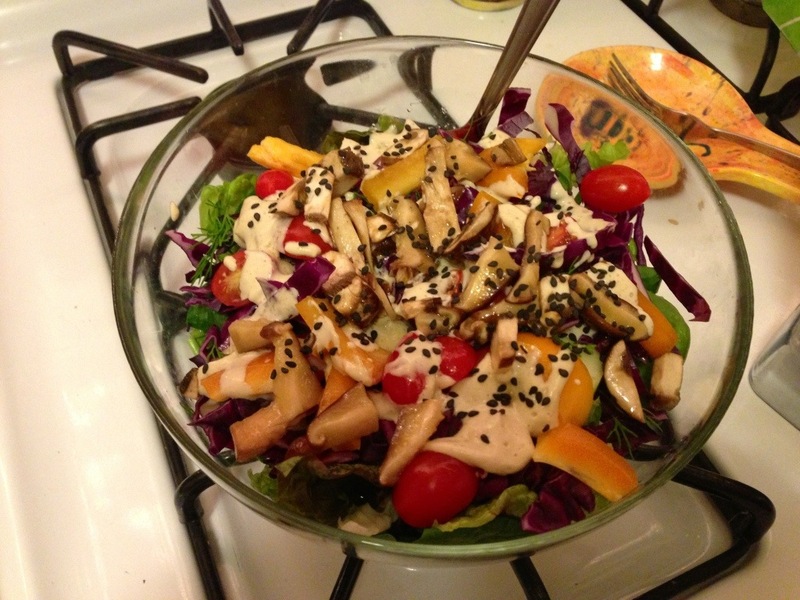 Top with slices of avocado, marinated mushrooms and sprinkle with sesame seeds. Yummy, your site is so refreshing, I look forward to following, Have a great night Allie.